One of the natural things that most couples do when they’re having a baby is to make a timetable for when the birth is expected to happen. Unfortunately, life usually has a plan of its own, and babies can sometimes come sooner than expected. According to the March of Dimes Perinatal Data Center, the preterm birth rate in the U.S. was 9.6% last year. The risks associated with these kinds of births include cognitive disabilities, visual and hearing impairments, and poor overall health; some experts have even gone so far as to link preterm births with behavioral and emotional problems. 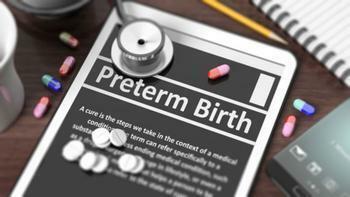 However, a new study has found that up to a quarter of all preterm births in the U.S. may be avoidable. The researchers say that a large number of preterm births come down to only a few factors that parents have control over. “The highest risks for premature birth were in women who were underweight, had poor weight gain during pregnancy, or short periods of time between pregnancies. However, excessive weight gain in obese women also increased risk,” said Emily DeFranco, physician-researcher at the Center for Prevention of Preterm Birth at Cincinnati Children’s. DeFranco and her colleagues came to their conclusions after analyzing birth records for the state of Ohio between the years of 2006 and 2011. These statistics included information on over 400,000 live, non-multiple births. The researchers found that the four aforementioned risk factors were present in 90% of all preterm cases in the Ohio samples. Weight issues were a particular problem with these women, as only 90% of them began their pregnancy at an ideal weight and only 32% achieved the recommended weight during their pregnancy. Ohio is not the only state that is plagued by preterm births, though. A study conducted by March of Dimes shows several states had much higher preterm birth rates. The worst offenders include Alabama (11.7%), Louisiana (12.3%), and Mississippi (12.9%). The states with the lowest preterm birth rates were Washington (8.1%), Idaho (8.1%), Vermont (7.9%), and Oregon (7.7%). DeFranco believes that the best way to lower preterm birth rates is to make sure women are educated and informed about optimal pregnancy conditions. “Attention should be paid to educational interventions on the importance of birth spacing, achieving an optimal pre-pregnancy weight, and ensuring adequate nutrition and weight gain during pregnancy,” she said. The full study has been published in Maternal and Child Health Journal.